Thanks for hanging out for today's countdown. 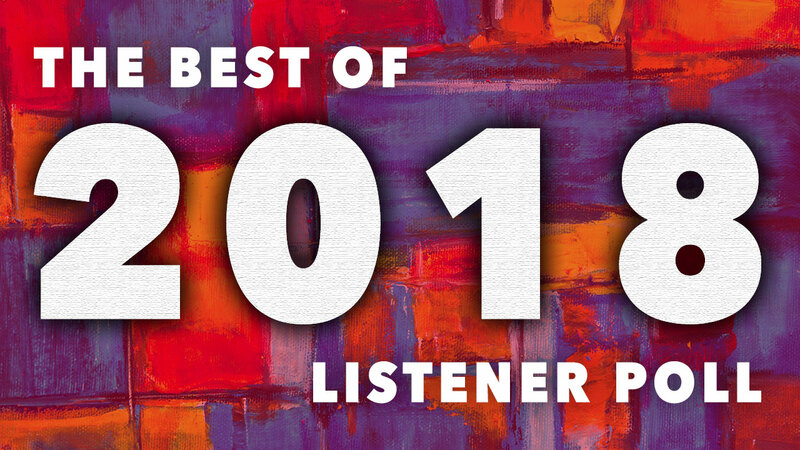 Here are the full results: the top songs, albums and discoveries of the year, as chosen by you, the WFUV listeners! Janelle Monae, "Make Me Feel"
Phosphorescent, "New Birth in New England"
Caroline Rose, "Jeannie Becomes a Mom"
Sunflower Bean, "I Was a Fool"
Superorganism, "Everybody Wants to Be Famous"
Kamasi Washington, "Fists of Fury"
Leon Bridges, "Bad, Bad News"
David Byrne, "Everybody's Coming to My House"
Rosanne Cash, "Not Many Miles to Go"
Florence + The Machine, "Hunger"
Lord Huron, "Wait By The River"
Christine and the Queens, "Girlfriend"
Dawes, "Living in the Future"
John Grant, "Love is Magic"
The Lemon Twigs, "Small Victories"
Amos Lee, "No More Darkness, No More Light"
Neko Case, "Halls of Sarah"
Paul McCartney, "Come on to Me"
The Record Company, "Life to Fix"
Aloe Blacc, "Brooklyn in the Summer"
Belle and Sebastian, "I'll Be Your Pilot"
Father John Misty, "Disappointing Diamonds are the Rarest of Them All"
Nathaniel Rateliff & the Night Sweats, "Hey Mama"
Rex Orange County, "Loving Is Easy"
John Prine, "When I Get to Heaven"
Kurt Vile, "Rollin With the Flow"
Leon Bridges, "If It Feels Good (Then it Must Be)"
Neko Case, "Curse of the I-5 Corridor"
Ray LaMontagne, "Such a Simple Thing"
Amanda Shires, "Leave it Alone"
Mumford & Sons, "Guiding Light"
Amy Helm, "This Too Shall Light"
Boygenius, "Me & My Dog"
Brian Fallon, "Forget Me Not"
Nathaniel Rateliff & the Night Sweats, "A Little Honey"
Courtney Barnett, "Need a Little Time"
Angelique Kidjo, "Once in a Lifetime"
First Aid Kit, "It's a Shame"
Glen Hansard, "Roll on Slow"
Calexico, "End of the World With You"